Prices are on the rebound for natural gas, but what will happen to the market next year? Natural gas has been one of the best performing commodities of 2016. Prices are on the rebound after dropping to an 18-year low in the first quarter. In December, prices rallied, supported by weather conditions, and the market seems to be moving towards a deficit yet to be materialized. Since hitting its year low in March at $1.57 per million British thermal units, the price of natural gas has rallied 121 percent. In December, supported by cold weather forecasts and the bullish US natural gas inventory report, the Henry Hub natural gas spot prices rose to a two-year high of $3.72 per million Btu. The market continues to tighten, as production cuts from OPEC’s deal are expected as well as growing demand to replace other energy sources that may lead to a deficit next year. In addition, the Energy Information Administration predicts that Henry Hub gas spot prices will rise from an average of $2.49 in 2016 to $3.27 in 2017. The supply-and-demand imbalance is forecast to tighten, with most analysts believing equilibrium will be reached next year as demand steadily grows, both in the U.S. and globally, and also supported by hopes of OPEC complying with production cuts recently agreed. The EIA forecast production to average 77.5 billion cubic feet per day (Bcf/d) in 2016, a 1.3 Bcf/d decline from the 2015 level, which would be the first annual production decline since 2005. In 2017, forecast natural gas production is estimated to increase by an average of 2.5 Bcf/d from the 2016 level. But potential rising production, including the US, where Trump’s policies are uncertain, and Iran, that has been exempted of OPEC’s deal,could work against the global supply glut. In addition, it may take longer to lower the massive buildup of crude oil and refined product inventories. “Any increased oil production in the U.S. could limit further gains in natural gas prices, as it would likely increase oil-associated natural gas production, which accounts for about 20 percent of domestic supply,” Michael Roomberg, who helps manage $7.5 billion at Miller Howard Investments Inc. in Woodstock, New York, said to Bloomberg. Last week, the EIA reported that working gas in storage fell by 147 bcf to end at 3,806 bcf, 50 bcf lower than a year ago, officially ending the year-over-year glut. This was slightly later than expected because heating degree days (HDD) have been 21 percent lower-than-normal this season. Weather, especially winter weather, is hard to predict and can have a major impact on natural gas demand, as it’s most often used for heating. However, natural gas is in the middle of replacing coal and oil as a cheap, reliable, and less-polluting energy source. The expectation of colder temperatures than last winter contributed to EIA’s projection of a 13 percent year-over-year increase in residential and commercial natural gas consumption from December 2016 through March 2017. Citi analysts warned that temperatures at the beginning of winter aren’t always a dependable signal for the coming months. “We caution against extrapolating current weather patterns too far into the future,” the bank said in a research report. The EIA also expects that growing domestic natural gas consumption, along with higher pipeline exports to Mexico and liquefied natural gas exports, will contribute to the Henry Hub natural gas spot price rising from an average of $2.49 per million British thermal units (MMBtu) in 2016 to $3.27/MMBtu in 2017. Incoming US President Trump has made energy a central part of his agenda, expecting that the oil and natural gas industry could lead to the creation of “another 400,000 new jobs per year”. “I will cancel job-killing restrictions on the production of American energy, including shale energy and clean coal, creating many millions of high-paying jobs,” said President-elect Donald Trump. His nominee to head the Environmental Protection Agency, Scott Pruitt, has argued that growth and regulation are fundamentally at odds. “The American people are tired of seeing billions of dollars drained from our economy due to unnecessary EPA regulations,” he said. A recent memo from Trump’s energy transition team said Trump’s proposed policy could increase production in the Chukchi and Beaufort Seas, as well as the mid- and south Atlantic. But this week, US President Barack Obama banned new oil and gas drilling in federal waters in the Atlantic and Arctic Oceans to combat climate change. Trump, who has promised to expand offshore oil and gas drilling, has questioned the science of climate change and named to his transition team a number of people who deny or doubt that global warming is caused by human activity. In a worrying move for environmental groups, he has appointed Rick Perry, who has close ties to the oil and gas industry, to the Department of Energy. Perry, a climate change skeptic, will be responsible for the US energy policy and will oversee the nation’s nuclear weapons program, if his nomination is confirmed by the Senate. Analysts at JP Morgan suggested to watch Anadarko Petroleum (NYSE: APC), that had gains of over 45 percent year-to-date, Devon Energy (NYSE:DVN), also with gains of over 45 percent year-to-date, Range Resources (NYSE:RRC), that reached gains of over 38 percent, and Pioneer Natural Resources (NYSE:PXD), over 47 percent gains. 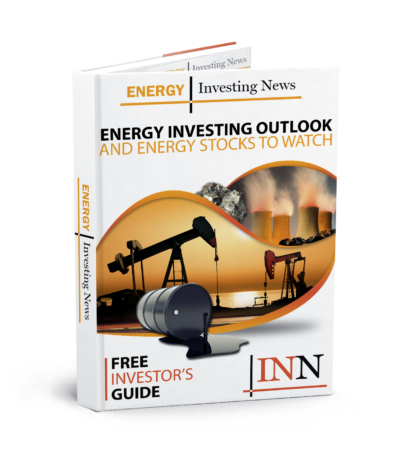 While Goldman Sachs picked Southwestern Energy (NYSE:SWN), that gained over 54 percent year-to-date, as a top stock to watch in the winter months. Looking at the year ahead, it seems that the natural gas market is surrounded by uncertain factors. Unpredictable weather conditions, what will happen when Trump takes office and OPEC’s production cuts that could rise supply in the US, are all factors that could impact prices. Investors interested in the sector should keep an eye on how these develop, as a fast turnaround from oversupply to deficit is always possible in the natural gas market.